Meet Alvin Pasaol’s younger brother, John Rey – SAMAHANG BASKETBOL NG PILIPINAS INC.
During the first day of competition of the Samahang Basketbol ng Pilipinas Under-16 Pambansang Tatluhan at the Harrison Plaza in Manila Last October 20, there was one loud and familiar onlooker in the crowd. It was current University of the East King Red Warrior Alvin Pasaol who cheered on his hometown Davao team taking part in the 3×3 tournament. But there was one particular player Pasaol was vociferous in his support… it was his 16-year old brother John Rey. The youngest of two Pasaol siblings sizzled all tournament long. He hit triples, drove and hung in the air for acrobatic lay-ups, and defended with that familiar ferocity. 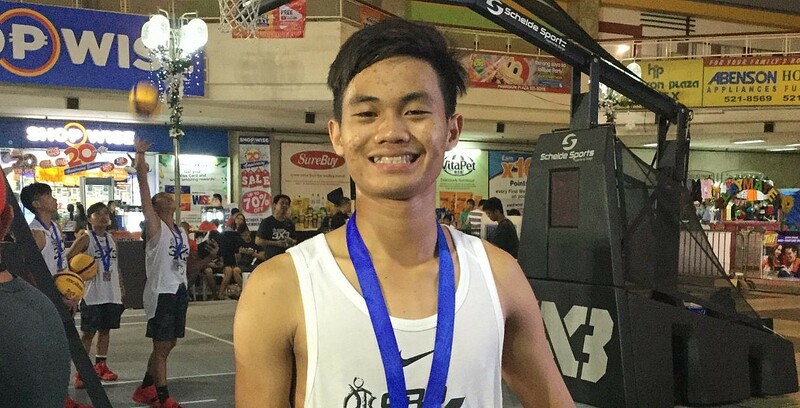 Even if John Rey’s Davao squad fell to Laguna (Region 4A) in the finals of the U16 Pambansang Tatluhan, 21-16, the buzz was about the young kid from Davao who greatly impressed with his never-say-die attitude and derring-do on the court. Don’t be surprised if some Manila school snaps him up.